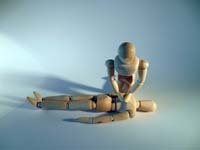 Expand upon your Basic Life-Support skill set by earning a First-Aid certification. This additional time in the classroom will train you to administer basic, life-saving techniques in the case of injury or medical emergency. This American Heart Association (AHA) course meets all requirements for healthcare providers, childcare specialists, educators, personal trainers, and those working in service-related fields. Prerequisite: Basic Life Support Certification (CPR & AED) or BLS Card. Please read: If you are a teacher, childcare worker, or unlicensed healthcare professional, you must take First Aid and CPR/BLS. If you are a Licensed Healthcare provider, you only need to renew CPR/BLS.